Imagine how ecstatic I was when I found out Austin doesn’t just have one-off fashion events. We have our own fashion week. I signed up to volunteer faster than a hot knife cuts through butter. I found out Austin Fashion Week is produced by a local company called Fashion X, and fell in love with the company’s mission to promote local designers, partnership with local nonprofits, and wonderful staff. Fashion X is a fashion event producer. In fact, it’s the leading producer in Texas. Founder Matt Swinney started the organization in 2009 after selling his magazine, Rare Magazine. Though he didn’t have a fashion background, he saw the need for something like Fashion X to help emerging brands in the Austin community. Swinney has grown Fashion X outside Austin, and now the business is also thriving in Dallas and Houston. Beyond participating in fashion weeks in all three cities, Fashion X produces various fashion shows throughout the rest of the season. This means the team is always looking toward the next event, which involves production planning, model casting, working with designers, and more. Fashion X’s mission is to connect emerging designers directly to the consumer, which makes a positive impact on designer brands. Swinney understands the impact an organization like his can have on local and young designers. The support Fashion X provides can push these brands into the spotlight–and age isn’t a factor. Isabella Rose Taylor was only 11 years old when Swinney was first introduced to her brand. Taylor’s parents reached out, saying she had created her own fashion line. They wanted to know what they should do. When Swinney went to view the collection, he was impressed by how well made and professional Taylor’s clothing looked. Swinney added Taylor to a runway show during Austin Fashion Week that year and she was honored as a “Rising Star.” Fast-forward seven years to 2019. The young designer has graduated from high school and sold her collection to Nordstrom, and has been featured at a runway show during New York Fashion Week. 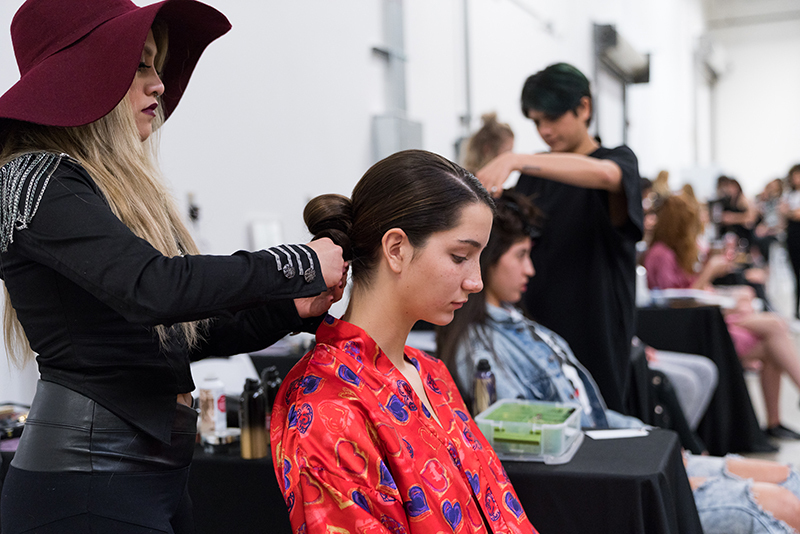 Fashion X also collaborates with Austin School of Fashion Design, giving students the opportunity to show their pieces on the runway during Austin Fashion Week. Fun fact: Swinney’s own daughter, Sadie, has shown with the school for several years. 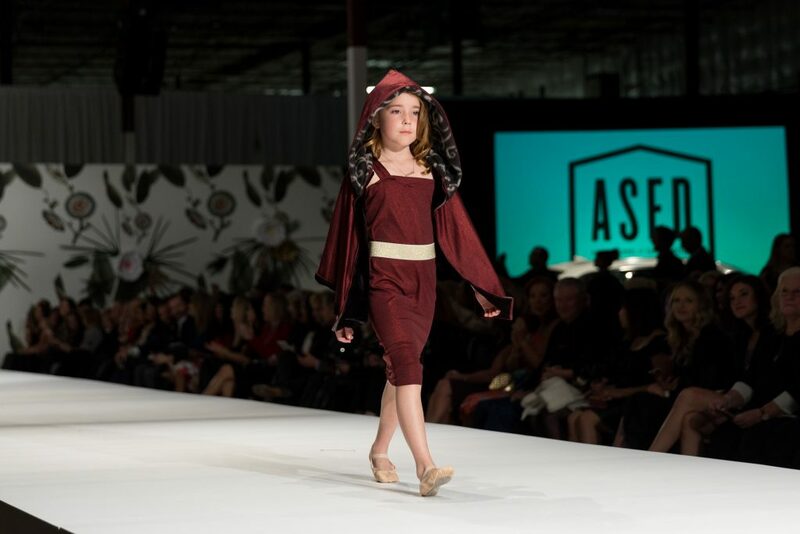 She’s 11 and launching her own label this year. 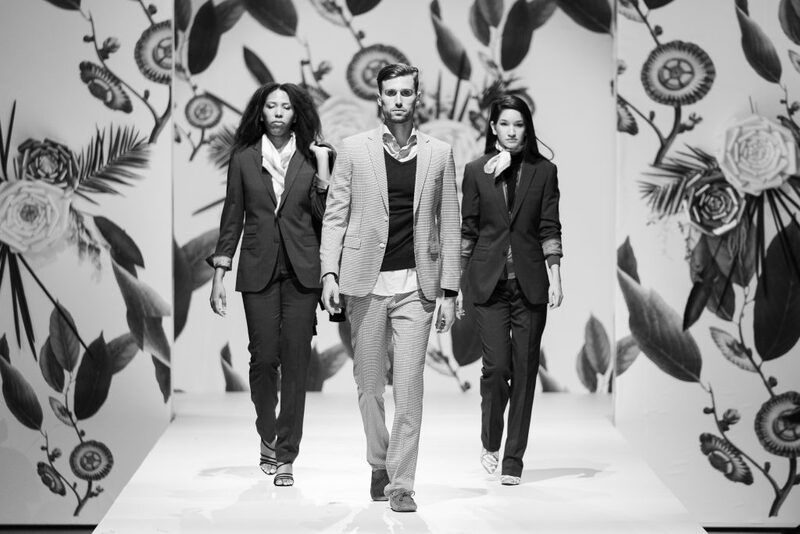 In addition to supporting the local community of emerging designers, Fashion X partners with nonprofits for each event. One of my favorite facts about Austin Fashion Week is that it’s the fourth largest fashion week concept in the United States. The city known for its laid-back and comfortable style is also a top place for emerging designers and fabulous brands. Austin Fashion Week takes places each spring. There are two parts: Shop For Good and the Runways. Shop For Good is a new addition to Austin Fashion Week, encouraging people to visit participating stores and shop for clothes to add to their wardrobes. A portion of the proceeds will go to local nonprofit The Kindness Campaign, an Austin-based anti-bullying organization founded by Andra Liemandt. The Kindness Campaign will be a long-term partner for this segment of Austin Fashion Week. 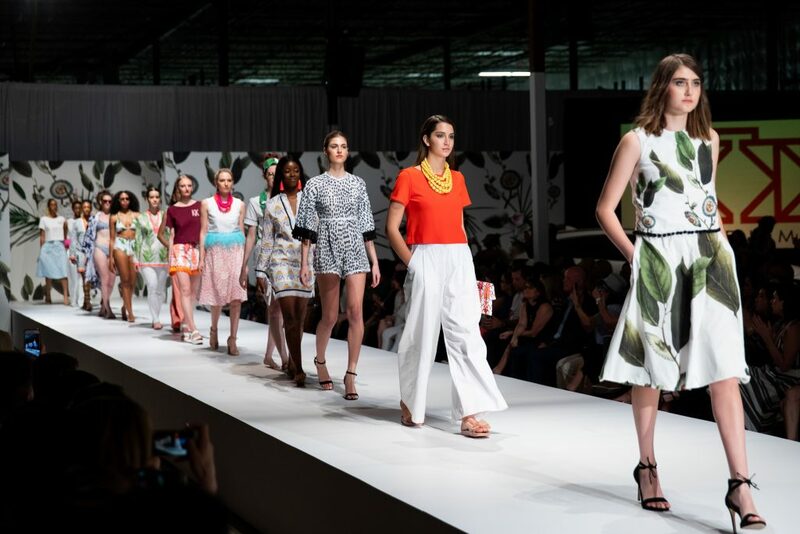 The second component of Austin Fashion Week showcases local and international designers at three separate runways between Thursday and Saturday. Designers can show capsule collections, with three looks, or whole collections with up to 25 looks. There are usually several local designers with tables at the event, so you can purchase local pieces on-site. 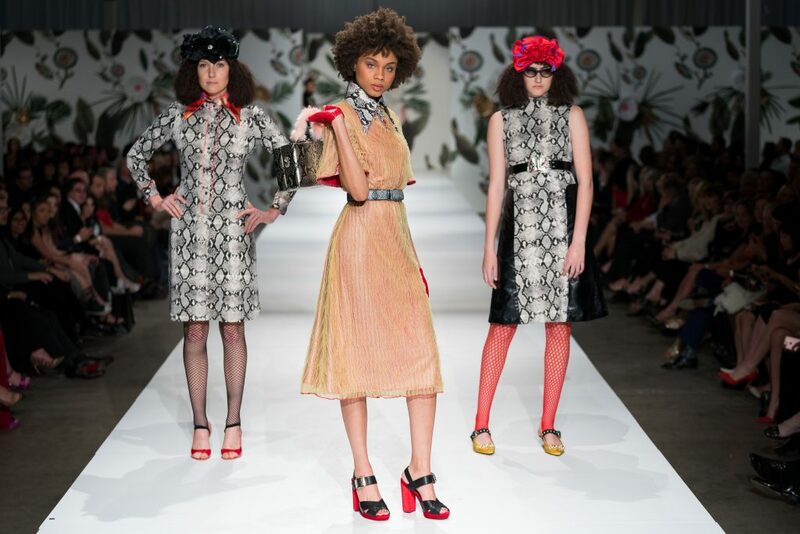 The 2019 BERNINA Fashion Fund winner will be announced. The winner will receive a substantial prize package from BERNINA to help take their career to the next level. There will be at least 12 designers fighting for the people’s choice award! Fifteen members of Ballet Austin Pink Pilates program will walk the runway with pieces from local boutique Estilo. The nonprofit partner for Thursday is Natasa Valocchi, benefitting Ballet Austin. Fifteen designers from Texas will show their collections, ranging from three to 25 looks. Clients from Arc of the Capital Area will run the walkway with looks from Nordstrom. This show features models of different abilities, emphasizing that adaptive clothing and inclusivity in the fashion industry is critical. The nonprofit partner for Friday is JK Baxter Hunt, benefitting Arc of the Capital Area. Eight designers from Adelaide in South Australia will be showing their collections. Five of the designers will actually be at the event and all are making their U.S. debuts here in Texas! The nonprofit partner for Saturday is Lesa Rossick, benefitting Relay for Life. Check out all the upcoming shows for Austin by checking out the Fashion X website. Have you been to any Fashion X shows before?